With the emergence of new trends of doing business, nowadays people need not wait in queue for a long time just to buy a single article. However, traditional commerce is still in vogue, but every second person uses the latest modes of trading i.e. electronic commerce (e-commerce) and mobile commerce (m-commerce). e-Commerce delineates all forms of business dealings undertaken through electronic processing and exchange of data, including text, sound, video, images and so on. On the other hand, m-Commerce implies the trading of merchandise through wireless handheld devices, such as mobile phones, tablets and personal digital assistant (PDA). In short, the former refers to the buying and selling of products and services with the use of electronic systems such as the internet while the latter is an extension over the former, in which the commercial activities are conducted, through telecommunication devices. Take a read of the given article to understand the differences between e-commerce and m-commerce. Meaning Any kind of commercial transaction that is concluded, over the internet using electronic system is known as e-commerce. M-commerce refers to the commercial activities which are transacted with the help of wireless computing devices such as cell phone or laptops. Which device is used? Computers and Laptops Mobiles, tablets, PDA's, iPad etc. Reach Narrow i.e. it is available only in those places where there is internet along with electricity. Broad due to its portability. e-commerce stands for electronic commerce. It refers to the exchange of any product or service across the internet while using electronic mode. It includes all those activities that help in concluding the transaction, i.e. transportation, banking, insurance, warehousing, advertising, etc. there will be no face to face interaction between the parties. 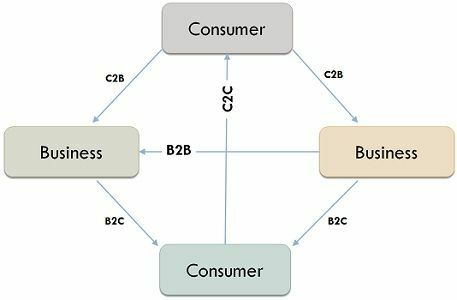 The e-commerce business models are, business to business (B2B), business to consumer (B2C), consumer to business (C2B), consumer to consumer (C2C), etc. Prospective consumers can review existing customer’s experiences through feedback. 24X7X365 accessibility as there is no time limitation. Simple, safe, fast and convenient. However, e-commerce is accompanied with some drawbacks like there are chances that if some customers have a bad experience, then they will provide negative feedback to others. In addition to this, e-commerce is not right for perishable goods, the cost of shipping the goods, etc. m-commerce or mobile commerce is nothing but an upgraded or version of e-commerce. When the commercial activities are conducted with the help of cellular devices, it is known as m-commerce. 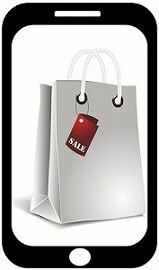 It includes browsing, buying, selling, dealing, ordering, paying and many other activities. After the emergence of m-commerce, e-commerce has reached great heights because it has increased its accessibility, portability, and connectivity. Now, you don’t need to search a place to plug-in because it just needs a wireless handheld device. The latest technology behind the success of m-commerce is Wireless Application Protocol (WAP), Short Message Service (SMS), Bluetooth, etc. It can be used in mobile ticket booking, mobile banking, money transfer via mobile and so on. Further, it allows the use of applications. But of course, it is also backed with some demerits like small screen do not provide a better experience, lack of technology in mobile phones like memory, etc. less secure, fewer graphics, etc. e-commerce is defined as the performance of business activities with the use of the internet. When any sort of commercial transaction is transacted with the use of cellular devices, it is known as m-commerce. e-commerce is an older concept than m-commerce. m-commerce is originally developed on the lines of e-commerce. So it can be said that m-commerce is a part of e-commerce. e-commerce activities are concluded with the help of computers and laptops, whereas in m-commerce, smartphones, tablets, iPad, PDA’s (Personal Digital Assistant), etc. are used. In e-commerce, the use of the internet is compulsory but in the case of m-commerce the use of the internet is not mandatory. The connectivity of m-commerce is comparatively larger than e-commerce. m-commerce devices are easy to carry anywhere because they are light weighted which is not possible with e-commerce. e-commerce and m-commerce have played a revolutionary role in changing the lifestyle of the people. Apparently, it saved their time and cost. In traditional commerce, people do not have many options, but now they can explore and make better choices. They will not get cheated with low or substandard or defective items. Also they will not get fooled by the attractive advertisements because they can read the reviews of existing customers to decide whether to buy the product or not. Great article!It’s very informative and useful! Well explained the difference between the two. Thanks for sharing this valuable information.